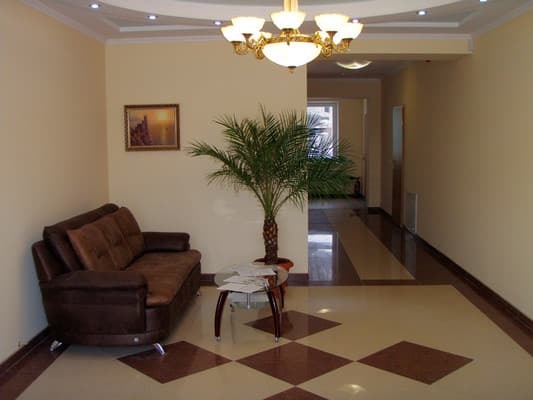 Hotel "Zakarpattya OASIS", offers you not forgetful rest in the fairy tale corner of Ukraine "Transcarpathia". The hotel is newly built, the rooms are in euro style (more than 30 sq.m., 2 double bed - separate beds (optional), TV-LCD (satellite), refrigerator, closet for things (coupe), sofa, balcony (in some). Bathroom (5sq.m.) - shower, washbasin, toilet, bidet.) And all this is located next to the historical and architectural monument of the castle of the Count of Shenborn, in the territory of which lies the unique Dendro Park (14 hectares with well-groomed alleys with various plants, more than 50 types are not peculiar to these places) In the hotel is located a brown excursion, where you will be offered a list of the best excursion routes in the Carpathians and Transcarpathia! 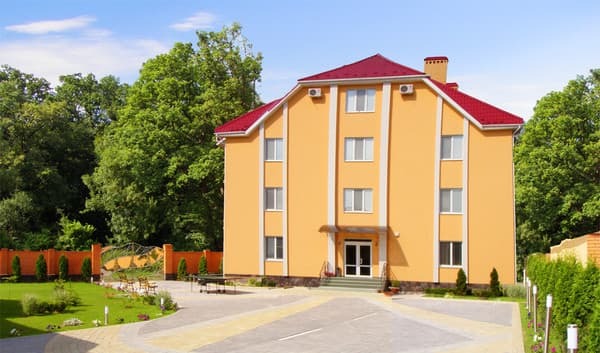 Also in the hotel at your service Cafe, pump room with mineral water (glade kvasovo), car parking, tennis table, as well as at a distance of 50 -60 m from the dormitory at your service restaurant with two rooms, swimming pool, massage room, billiards! Parking is available at an additional cost. Description of the room: Double room, 15 m2. 2 double bed, washbasin, shower, toilet, TV-LSD (satellite), electric kettle. Description of the room: Room is 30 square meters, equipped with one double or two single beds. Description of the room: Spacious room Junior suite with an area of ​​30 sq m with a double bed (or twin beds - according to the client's request). The room also has a sofa, refrigerator, air conditioning, electric kettle, closet for clothes, shower, washbasin, toilet, bidet, balcony (not in all rooms). Description of the room: 30 sq.m. 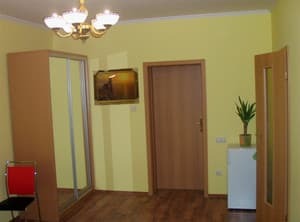 2-bed (separate beds - according to the client's request), sofa, TV-LSD (satellite), refrigerator, closet for clothes, shower, washbasin, toilet, bidet, balcony (not in all rooms). Description of the room: Two-room (rooms - 30 sq. M and 28 sq. M.) With everything necessary for comfortable living - sofa, refrigerator, double bed, closet for clothes, chest of drawers, balcony, air conditioning. Отдыхали с 14 до 16 октября. Снимали 3 номера. 2 было полу люкса и 1 мансарда. Номера все одинаковые все как на фото. В номере чисто, мебель в хорошем состоянии, сантехника вся работает. Поселили за 5 минут никаких проблем не возникло. Гостиница стоит в удачном месте недалеко дорога на Мукачево и в замок можно подняться через двор прямо к замку. Минус гостиницы, что нет своего кафе где можно покушать. Два года назад отдыхали тоже в этой гостинице ходили кушать к дороге напротив маркета как называется кафе не запомнил, все было вкусно по домашнему. В этот раз пошли ужинать туда-же но лучше бы мы его обошли стороной. Заказ ожидали около часа суп полевка и деруны с мясом. На вкус все такое что вспоминаешь столовку при совдепии. Вечер был подпорчен таким ужином, пришли в номер достали с холодильника остатки с дороги и доужинали с водкой дыбы не было отравления от кафе. Зручне розташування до дендропарку та палацу Шенборна, де можна затишно провести час насолоджуючись красою парку. Поєднання інтер"єру власне номерів. Харчування бажає бути КРАЩИМ(в готелі харчування замовляється тільки на наступний день і то одна єдина страва для всіх жителів).Харчування в ресторанчику за 100 м від даного корпусу теж бажає бути кращим(страви не свіжого приготування-все морожене і подається підігрітим). Check arrival: from 14:00 - 15:00 hours. Check leaving: to 10:00 - 11:00 hours. Children under 16 years are accommodated free of charge without providing an extra bed. The cost of extra space is 100 UAH. Meals can be ordered for a fee, 150 UAH - three meals a day. 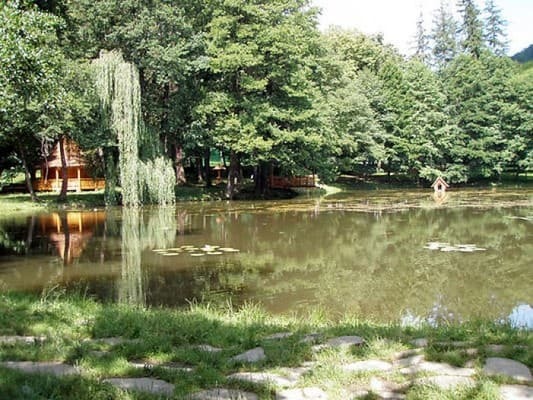 The hotel is located in the Transcarpathian region, Mukacheve district, with. 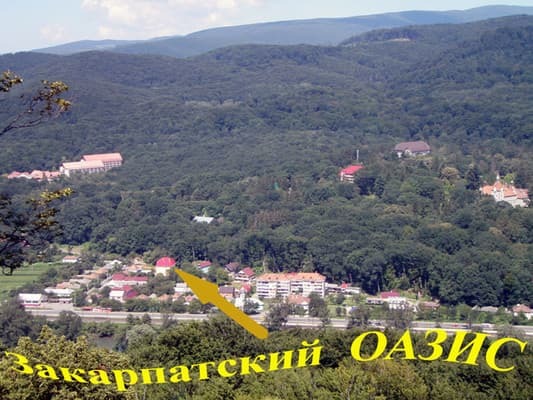 Carpathians, at a distance of 200 m from the route Kiev - Chop (M 06) at the foot of the mountain, on which lies the beautiful park and the ancient castle of Count Schönborn. Near the hotel there is a sanatorium "Karpaty" (200 m from the hotel). You can stay in the hotel for treatment at a sanatorium. You can reach the hotel by car on the highway Kiev - Chop (M 06), 20 km before reaching Mukacheve. Also by any train moving in the direction of Uzhhorod, get off at the station "Karpaty".